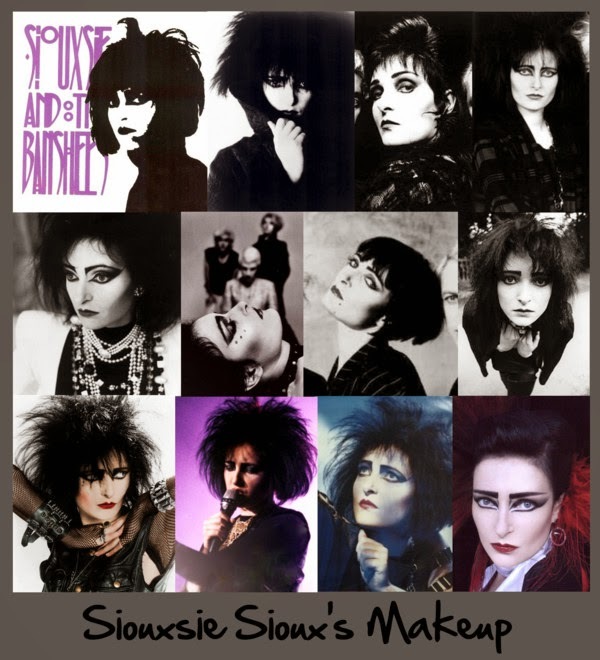 On of my favorite gothic ladies is Siouxsie Sioux of Siouxsie and the Banshees. If you aren't familiar with the band, or perhaps need a reference refresher, listen to the full "Best of Siouxsie and the Banshees" album here. My favorites are "Cities in Dust" and "Peek A Boo". Her strong eye makeup is iconic for her look. Full brows are making a comeback. Her's are large, and hardly natural looking, but it worked well for her. I love the eye makeup looks. I'm going to attempt my own version one day...maybe with thinner brows though. If you'd like to recreate her iconic makeup, watch the tutorials below.